So now that I've set my goal to relearn a kip, I find myself describing it to puzzled friends. 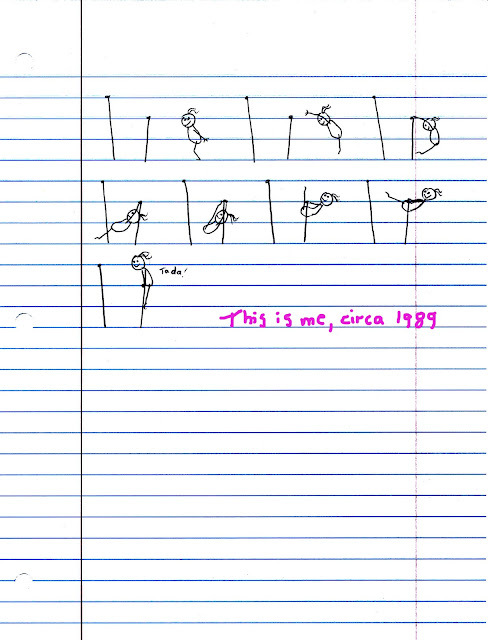 A kip is THE fundamental skill of bars. You can't have a routine without one. Or two or three or four. There are variations on a kip, of course, but the first thing you learn is a "glide kip" on the low bar. 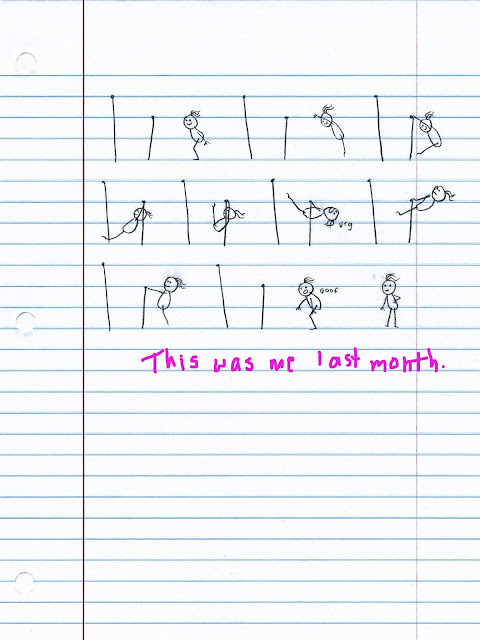 To demonstrate, I've put my skills as a geometry class slacker to work and resurrected Sticky the Stick Gymnast. Sticky can only exist on notebook paper, naturally. 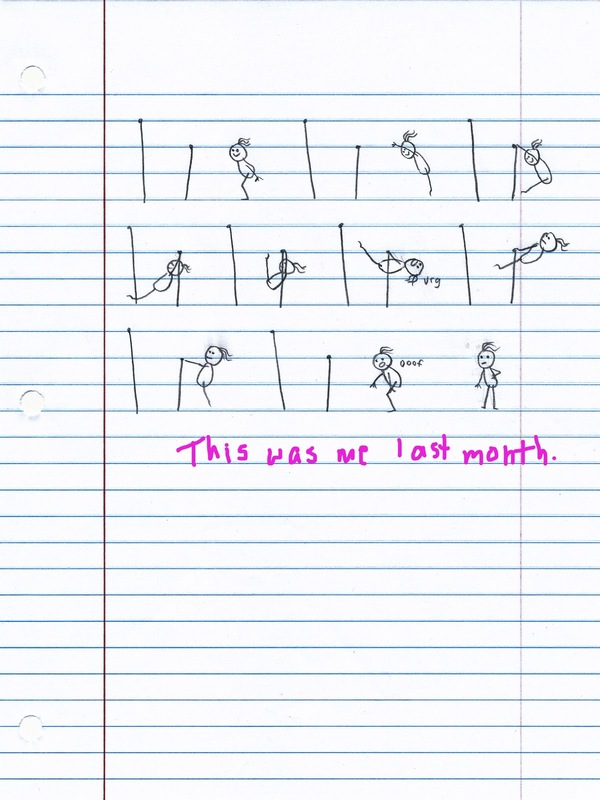 (Acceptable variation: Sticky sometimes stars in the margins of spiral notebooks in her own flip-book motion pictures.) Oh, how I used to while away the hours devising clever and impossible bar routines instead of solving quadratic equations and whatnot. I count 5 kips (in different variations).